After years of speculation and mystery, the home along Lone Pine Avenue in Springfield is finally complete, and the finished product is like nothing else in town. Curious Springfieldians might have waited nearly two years to see what would happen to the creek-side home on Lone Pine Avenue, but the new owners, Michael and Lisa Willhoit, have waited longer than that. For them, this dream was 10 years in the making, and when they finally moved in this July, they brought a rhino, an African warrior, one giant snapping turtle and a whole lot of African ambience with them. 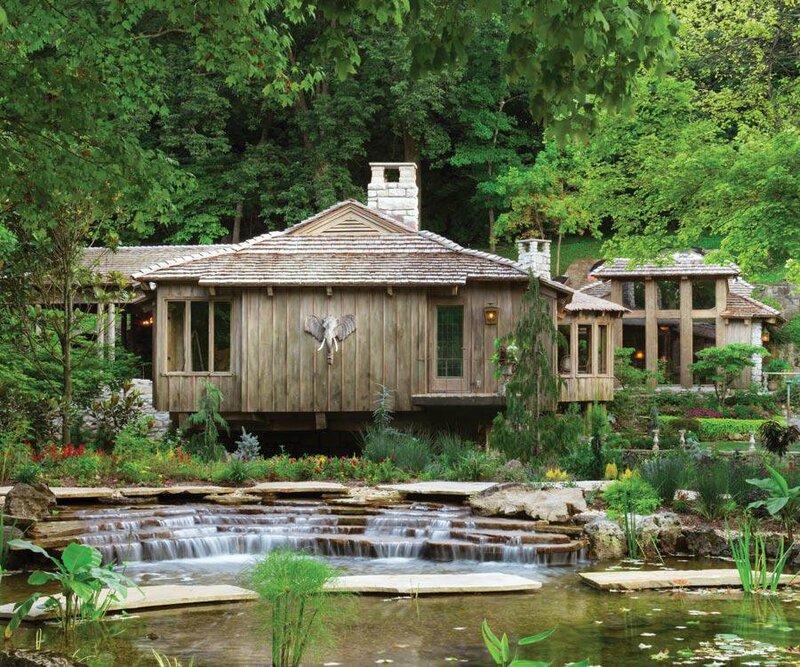 “It’s crazy, isn’t it?,” Michael says as he walks barefoot through the finished home. Even though the house is just 3,300 square feet with two bedrooms and two baths, it seems larger than life. 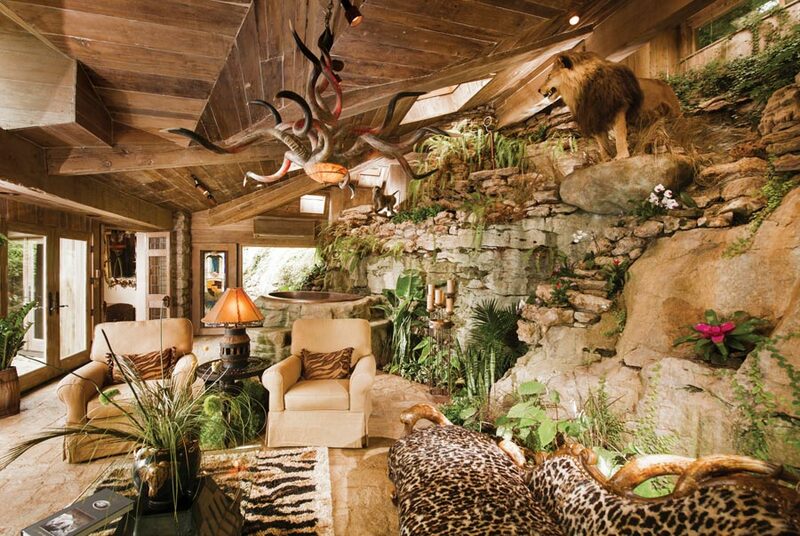 In the sun room, which Michael and Lisa have dubbed The Bluff Room, a taxidermic lion and chimpanzee share the spectacular view of the carefully landscaped property, which is just shy of 5 acres. A spring-fed creek cuts a wide expanse down the middle of the lot and runs under the house. 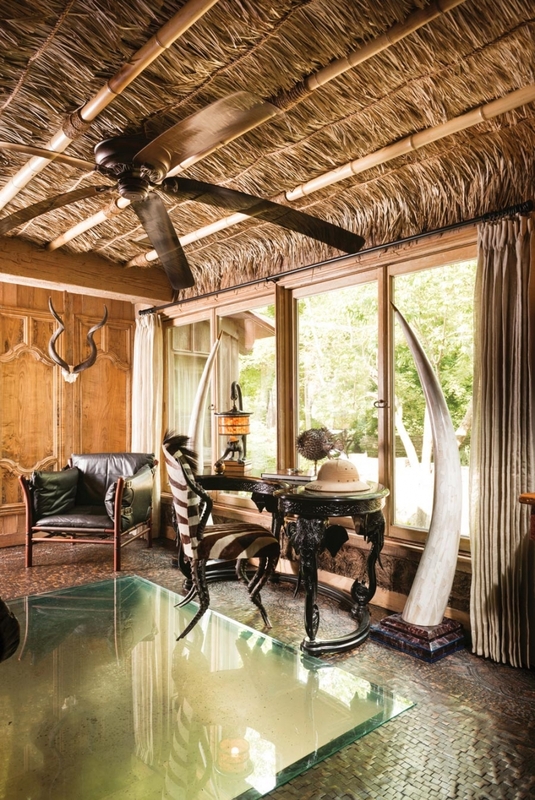 Chandeliers made of horns and tusks are hung throughout the rooms to match the African-inspired décor. Even the walls are coated with African wax to give the appearance that you are standing inside a safari hut. 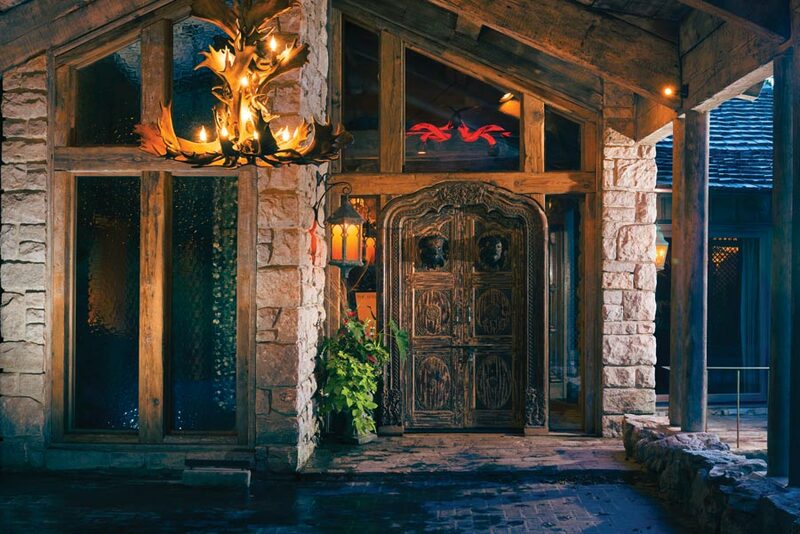 No detail is left out, so when Michael says he wanted the home to feel like a $10,000-a-night Ralph Lauren lodge, you have to admit—he’s succeeded. Michael’s love of the African Queen—the name he gave the house years ago—borders obsession. He first fell in love with the property back when it looked more like a French country cottage. When the home was between owners, Michael and Lisa would sneak onto the back deck with a cooler of beer and pretend the home was theirs. When the chance came for Michael to become the owner, he didn’t hesitate. Naming the property The African Queen was a no-brainer for Michael, who loves all things African. He visited the continent in 1972 and returned home with a new fascination. Now, he and Lisa have turned their new home into a love letter to Africa, and Michael couldn’t be happier; at least that was what he thought. 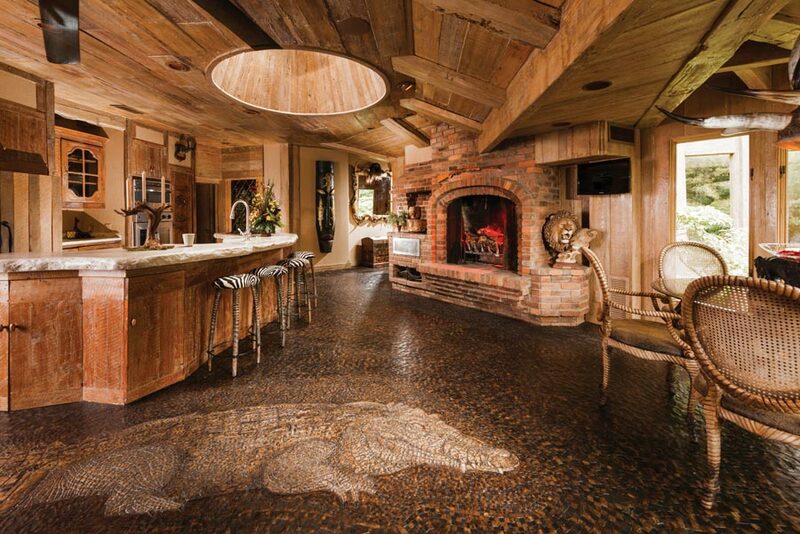 Then he discovered the flooring that would turn his beloved home into a true work of art. “Walking on this floor is the best foot massage you’ll get,” he says. Designed and installed by Archetypal Wood Gallery—based in New York—the wood floor that spans the kitchen is nothing like your traditional wood floor. It is made up of more than 550,000 tiny wooden squares made of ebony, oak and walnut. There are three sizes, and each size comes in three heights. This is what gives the floor a physical wave you can feel as you walk across it—barefoot of course. “It took eight months to install this floor,” says Avedis Duvenjian, Archetypal’s previous co-owner and founder. Duvenjian brought aboard Vartan Arutyunian, a hyper-realistic artist who incorporates three-dimensional designs into the mosaic flooring. “We saw the floor and paid $1,500 for a sample,” Michael says. “I said I hope we don’t like this. The cost has to be out of this world!” But Michael loved it, and soon Duvenjian, Arutyunian and their team were installing the floor. Then one night Arutyunian woke up from a dream and started sketching a giant crocodile. That croc, made up of 20,000 wooden tiles and spanning a whopping 17 feet, now looks up from the kitchen floor. 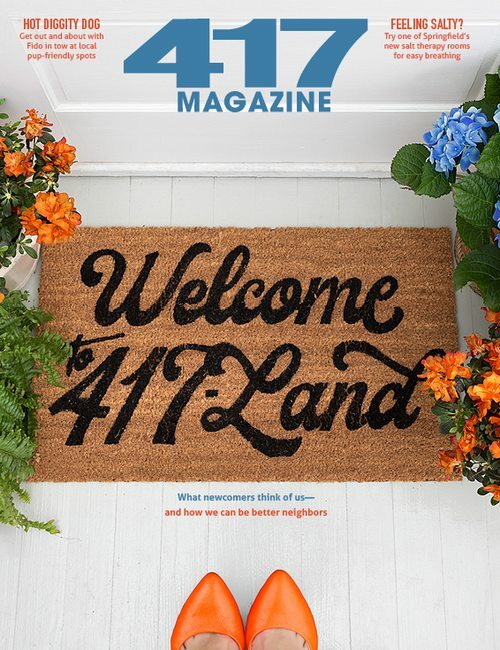 “This floor is going to win Floor of the Century,” Michael says, and with Archetypal’s growing collection of awards including Best Wood Floor of the Year in 2015 by the National Wood Floor Association, it doesn’t seem farfetched at all. Once the floor was finished with bee’s wax, which helps allow the floor to expand and contract during the seasons without harm, and all the furnishing was moved in (including a custom-made lion head toilet and a hammered copper tub for Lisa), The African Queen was complete, and Michael’s decade-long dream was finally reached. Now the only question is, what’s next? Kitchen: To turn the home into the dream abode Lisa and Michael wanted, contractor Mike Dobbs of Dobbs and Stuhlsatz Custom Homes had to strip the home down to the studs. Almost everything in the home is new, but little of the original structure had to be changed. While the skylight and brick fireplace are terrific focal points, it’s the wood floor that really steals the show. There are more than 20,000 wooden tiles in the crocodile mosaic alone. 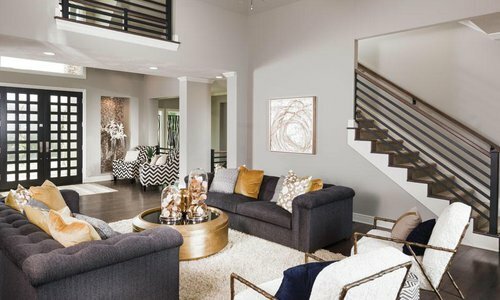 To keep the floor in great condition, shoes aren’t allowed past the front door, and Michael even jokes that he’s considered getting little booties for the family’s two golden retrievers. Bluff Room: Michael and Lisa’s sun room—the Bluff Room as they call it—has a spectacular view of the 5-acre property. The lion, chimpanzee, chandeliers and leopard-skin settee add to the home’s African ambience, and the space serves as the couple’s living room. As an added bonus, the couple had a copper hot tub custom-built into the bluff. Guest Room: The guest room has a more feminine look than the master bedroom and was designed more for Lisa. The room looks out over the spring and the bubbling water fountain. With such a tranquil view, the room’s furnishing were kept simple. Nearly every piece of furniture in the home is custom made including this elephant-hide love seat that graces the kitchen. Even the sinks in the home match the African style. This bathroom sink is made of petrified wood from Indonesia. Lisa picked out the stone for the kitchen counter. Unlike the rest of the home, the guest room’s décor is softer and more feminine, like this elegant swan bed from the ’30s. Some of the furniture in the home, like this chair made from wild boar hide, is as much a conversation piece as it is a functioning place to sit. The wine cellar off of the kitchen houses a collection of spirits and wine and is closed off with a wrought iron door. Office: Michael and Lisa turned the hallway that runs from the kitchen to the master bedroom into Michael’s office, complete with an eight-leg zebra-skin chair and a thatched ceiling. That glass floor that looks down on the spring underneath is actually a new addition. For years, stories circulated about the home’s glass floor, but until Michael and Lisa bought the house, the glass floor was nothing more than a myth. “I knew the first thing we had to do to the home was add that glass floor,” says Mike Dobbs, the home’s contractor. 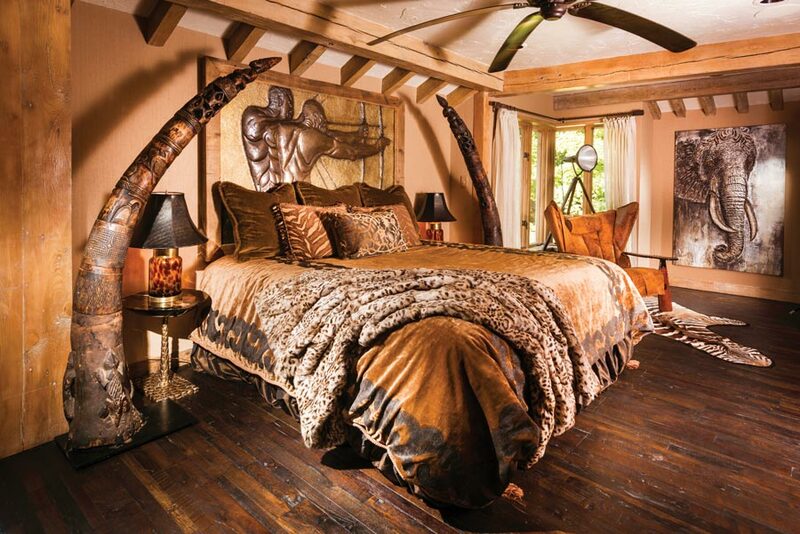 Master Suite: The home’s largest room is the master bedroom, which is decked in all sorts of masculine accoutrements from carved tusks that frame the king-size bed to the monkey pelt rug and elephant skin chairs in the nearby seating area. 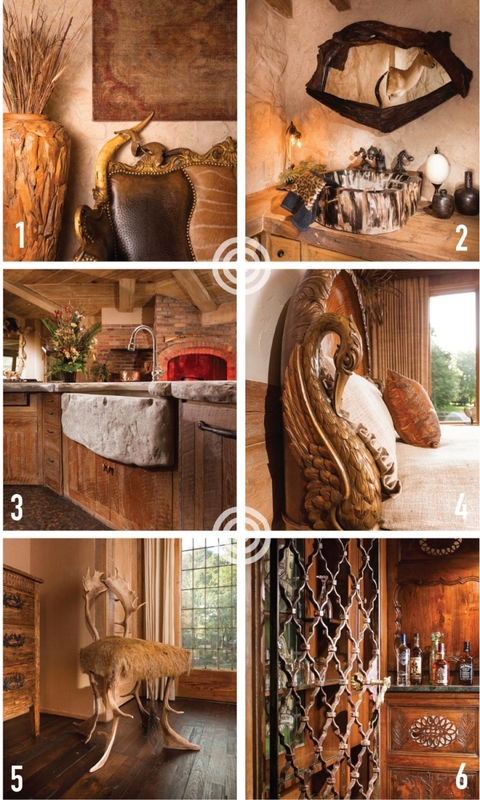 Each of Michael and Lisa’s homes have had themes, and surprisingly, the African Queen isn’t the first to have African décor. Front Door: Almost everything in the house was flown in. Places including France, Italy and Africa are tied to most everything in the home. Cities closer to home also made the list, like St. Louis, which is where Michael and Lisa found the antique lantern that is hung on the walkway. 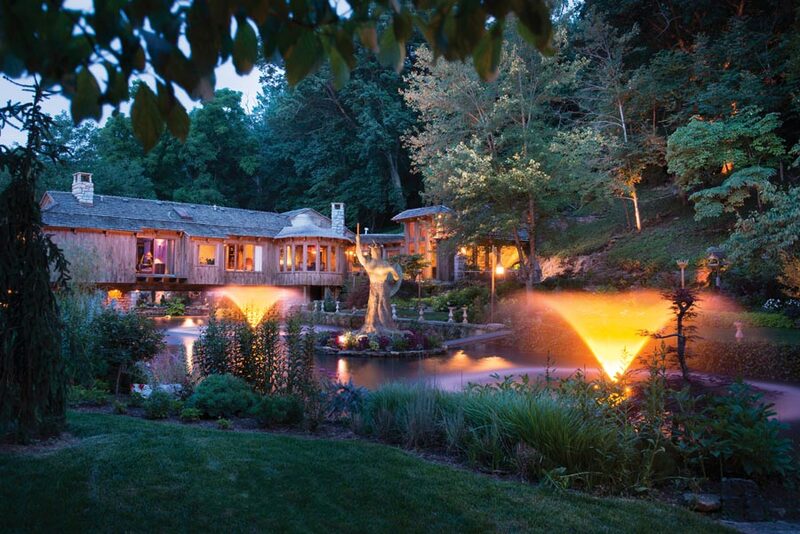 At Night: While the property is plenty beautiful during the day, it’s even more spectacular at night. 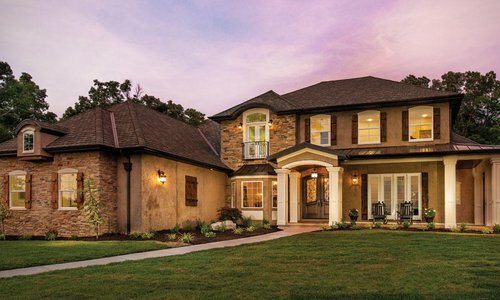 Outdoor lighting highlights the creek, the stone walls and the canal. Lights are tucked into the landscaping around the base of the African Warrior statue, which was built by Tom Ehlers and James Hall. It makes the work of art a truly dramatic focal point. 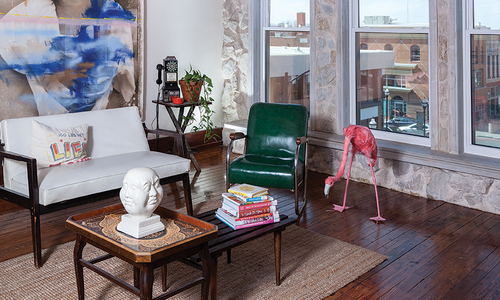 Christina Pike shares how she turned her small loft space into a stylish abode. 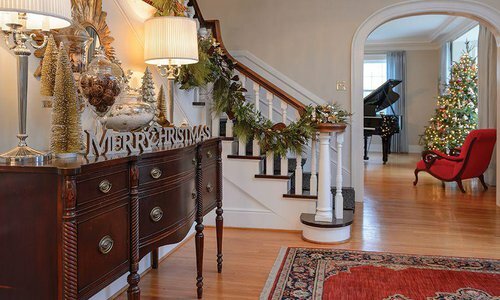 Travis and Amy Hiles brought their classic Rountree home to life with a tasteful collection of holiday decor.